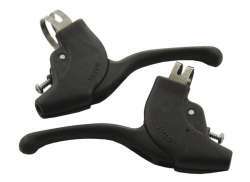 The largest and most affordable Online Children's Bicycle Brakes Shop! 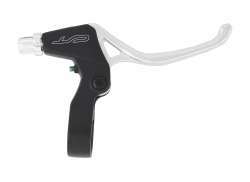 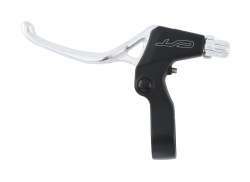 Do you want to buy a Children´s Bicycle Brake online? 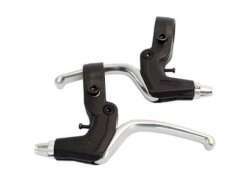 Hollandbikeshop.com has the Children´s Bicycle Brake you're looking for. 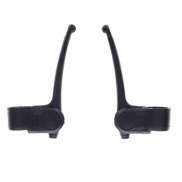 With children's bicycles safety is the biggest priority. 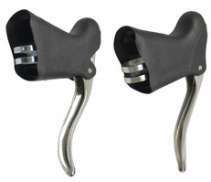 This can, for example, be seen in the many ways your child's visibility in traffic can be improved, but also in children's bicycle brakes. 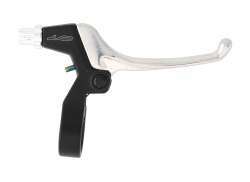 Brakes that are easy to operate and have a high braking capacity, ensure that your child can react instantly and can quickly bring the bicycle to a stop. 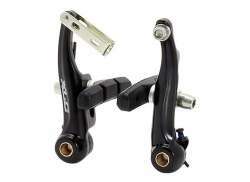 At Hollandbikeshop.com you can find a wide choice of Children's Bicycle Brakes by brands like Alpina, XLC, Contec, Kawasaki, Next Generation and Saccon. 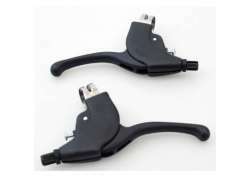 In our wide Children's Bicycle Brakes range on Hollandbikeshop.com you can find brakes for the children's bicycle in various sizes, models and materials, like brake levers and brake sets for operation with 3 or 4 fingers. 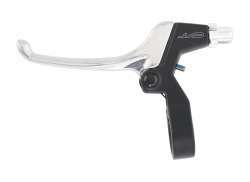 So you'll surely find the Children's Bicycle Brakes you're looking for. 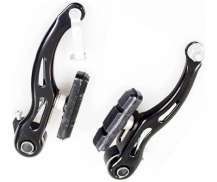 Hollandbikeshop.com is dealer of Children's Bicycle Brakes and has a large and affordable range. 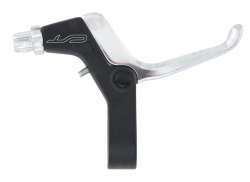 We also often have Children's Bicycle Brakes on sale or in our outlet, so keep an eye on our sale button. 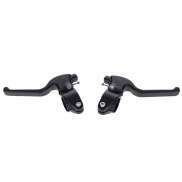 The largest and most affordable online Children's Bicycle Brakes bike shop!